The hostel is right next to the Old Town so that's nice, you can walk everywhere! There are several floors so if you're lucky like me and get the top floor get ready for some leg exercise! (I'm guessing they don't have an elevator because they didn't show it to me). Rooms are nice and spacious but in my dorm there were no lockers!!! 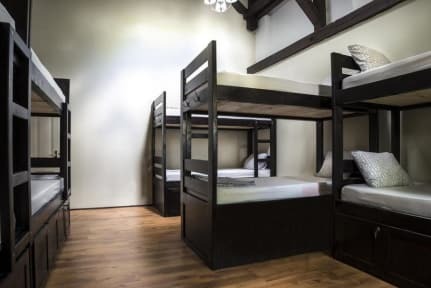 The bunk beds in both dorms I stayed didn't have a "barrier" on the top bed so if you sleep there you can easily fall down to the floor (very scary! ).